Recently, our firm reached a settlement for $1,500,000 in a similar case. Our client was a pedestrian walking on the sidewalk when he was struck by a vehicle who came out of nowhere. 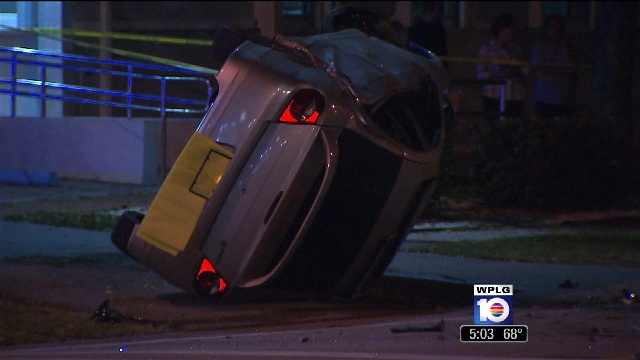 Our Miami Personal Injury Lawyers’ investigation revealed that the negligent driver became distracted by his cell phone and by an obstructed sign. Through litigation, we obtained a copy of the cellular phone’s activity log which showed use at the exact time of the impact with our client. If you have been involved in a car accident and sustained an injury as a result of a negligent driver, call our Florida Personal Injury Attorneys at 1 (800) 836-6400 or contact us by filling out our online contact form here. You may also visit our website to read more about Leesfield Scolaro here.